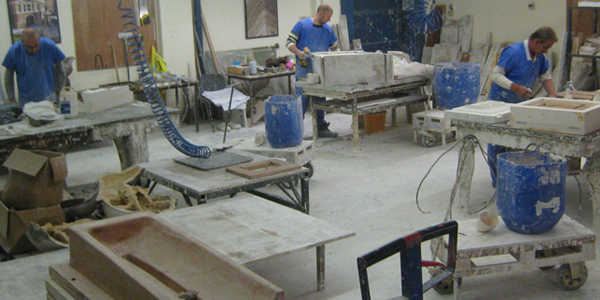 As a traditional modest ceramic building material, faience can be at risk of being overlooked. Faience is frequently seen cladding the London underground stations which demonstrates only the variety of glazed colours which can be achieved. However, designers with a taste for creativity, experimentation and ambitious shapes are tapping in to the inherent characteristics of the ceramic as well as the endless spectrum of its colour glazes. 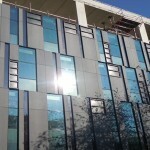 We are now seeing an exploratory use of faience in cladding. Modernised manufacturing processes have transformed the delivery of faience which is becoming very appealing to designers. The fundamentals of mould making is still carried out in a traditional way, with negatives and positive moulds being produced, but a level of automation provides sufficient accuracy for its use as a cladding material. 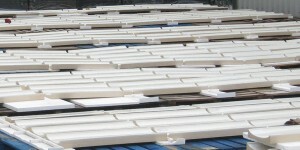 The first hurdle of manufacture is the anticipated shrinkage of the faience in the kiln. The CAD drawings, used to instruct the mould forming machine, are drawn scaled up to allow for this shrinkage. 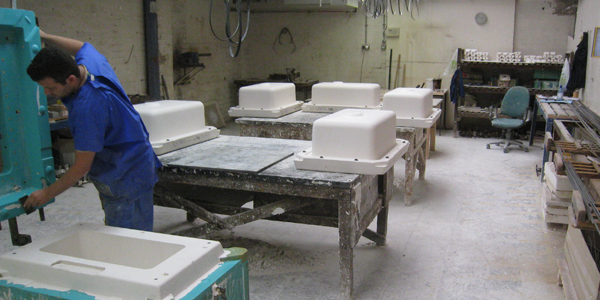 A milled polystyrene positive mould is used to form a reusable plaster negative mould, allowing opportunity for touching up of the negative mould, particularly at any junctions of the primary mould. 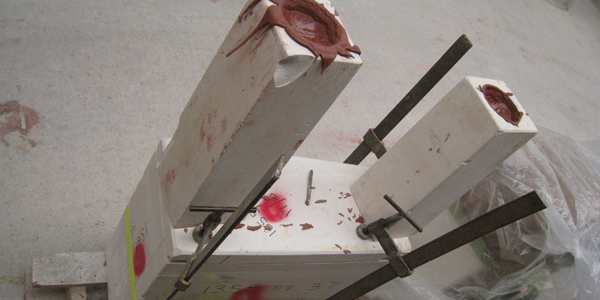 The second challenge is the tolerance of the shrinkage, which is dependent on the pressure of the clay slip entering the negative plaster mould. 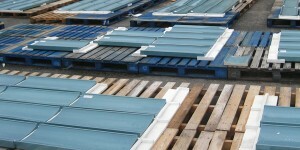 There are different methods in place for this depending on the product shape and application. The tolerances can be accommodated through the design period through review of the module size, panel size and jointing between panels. Shrinkage also inevitably holds warp and bowing challenges which would need to be reviewed for each bespoke shape. Clients are treated to the opportunity for experimentation, where colour requests of glass and matt tiles are typically bespoke for each project and developed alongside the architect/artist. 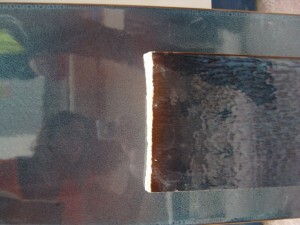 The glaze is hand applied to the dried clay and various textures can be achieved by over dripping. 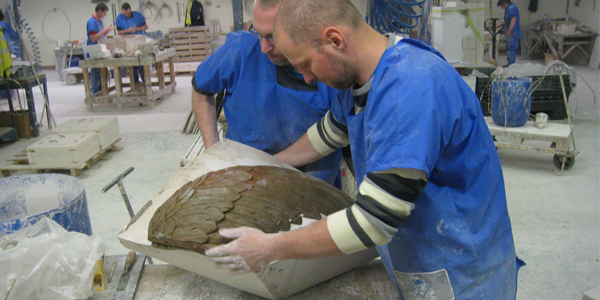 The final colour and texture only becomes apparent after firing to temperatures of around 1180 degrees Celsius and hence it is crucial that consistency of application is maintained throughout the project using the same craftsperson. This is a recurring processing hurdle we have observed on the transparent coloured enamelling of glass and one that enforces strict factory controls. 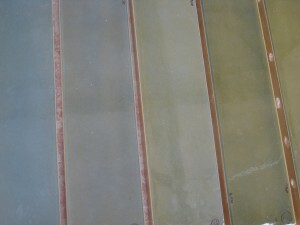 Each glaze mixture reacts differently in the kiln and therefore its individual temperature curve has to be determined for each colour and then reproduced following approval of a sample in production conditions. 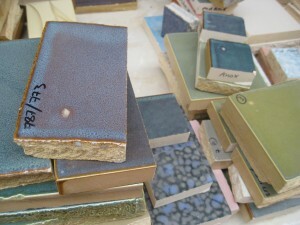 Some dark coloured glazes require two stages of firing, to ensure that first the quality and material characteristics are achieved and second to achieve the colour. These faience can be susceptible to immediate cracking of the glaze at the kiln exit, called crazing, due to differential expansion between the ceramic and the glaze. 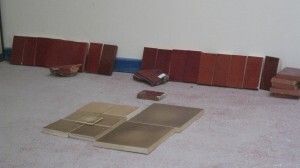 For durability reasons it is preferable if crazing does not develop at such an early stage, but due to project colour, finish or texture demands it may not be possible and this would need to be determined and discussed amongst the project team and Client. 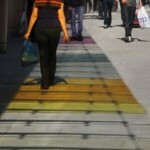 With all our work it is essential to manage the expectations of our clients. Knowledge of the material challenges and limitations allows potential risks to be understood and assessed at an early stage. It allows development time should other options become preferable. Despite the intrinsic creative potential of faience there are strict quality standards in place for the externally applied faience tiles, such as criteria for water absorption, frost resistance and efflorescence. The quality of the raw material and consistency of its use as the main ingredient composition can offer the manufacturer with greater quality throughout the manufacturing process. The versatility of faience opens up many opportunities for facade creativity yet its qualities and processes ensure it is a durable and worthy product. 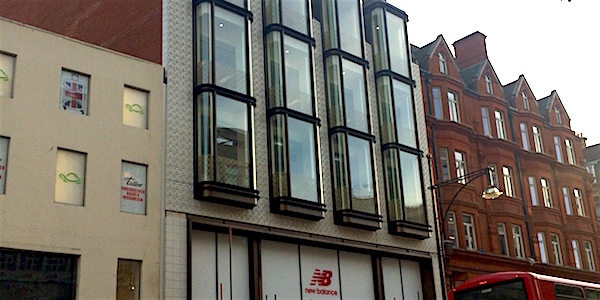 For 11-12 Hanover Square, a faience facade was proposed by Campbell architects for the vibrant Oxford Street retail elevation. 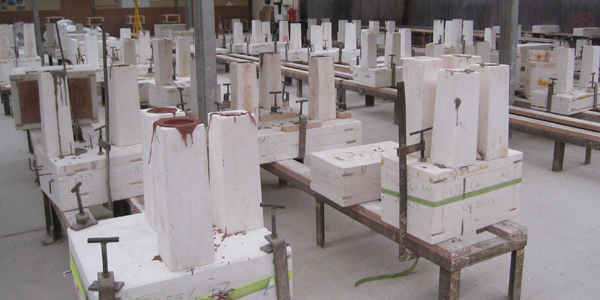 We proposed a faience precast panel due to the speed of erection on site for the restricted and busy location. Panel size, thickness, special shapes, fixing strategies, joints and movement joints were key considerations during the design stage. Collaboration between precaster, faience manufacturer and cladding contractor was necessary to finalise the glazing and its mottling, thicknesses, fixings and panelisation strategies.